Home / Campus Gist / EDITORIAL: CLOSURE OF AAUA EDU-PORTAL, WHAT NEXT? EDITORIAL: CLOSURE OF AAUA EDU-PORTAL, WHAT NEXT? Amidst the financial and academic struggle of Nigerian students, it has been revealed that the Adekunle Ajasin University edu-portal is likely to be closed for students on the 31st of this month,as it appears on the school official website. The tuition fee which was increased last year has been a stumbling block for many students to proceed with their educational pursuit in the school, as many dropped out of school due to lack of funds. 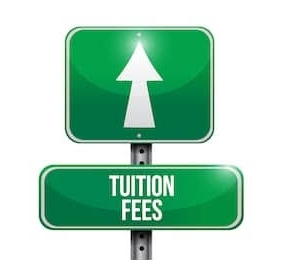 As it is being rumoured, once the portal is closed, students who fail to pay the actual tuition fee will have no other option than to pay an additional fee known as late registration fee. A quick look at the economic situation of the state and even the country at large, one would realize that, the tuition fee is not convenient for parents and guardians of these students. What about those who sponsor themselves, what becomes their fate? Education, according to the saying is a Right not a privilege. There are many who have interest in acquiring it, even though we have been made to realize that it isn't FREE to be acquired, it shouldn't also be made inconvenient for those who need it. What is the stand of the Students Union on the closure of the edu-portal? Will there be an extension for it, and how long will that be? Will there be attached fee? What becomes the fate of students who will make their payment between now and March 31st?. We can only await the next point of action(s) and decision(s) and also call on the management and government to reduce or remove attached late registration fees, extend portal closure date and also consider reducing the school fee that has become a huge trouble in disguise. THIS IS AN EDITORIAL OF OASIS MEDIA, AAUA, FOR 2018/19 SESSION, PUBLISHED (ONLINE) ON WEDNESDAY, 27TH MARCH, 2019.